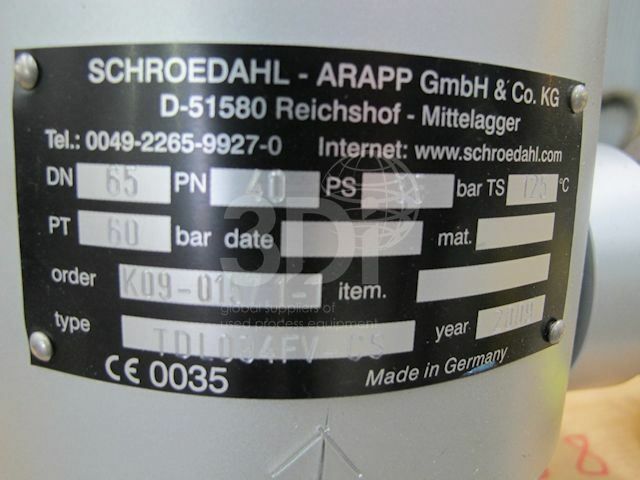 Unused Automatic Recirculation Valve, manufactured by Schroedahl-Arapp Gmbh & Co Kg, 2009. Type TDL 094FV, Serial no. 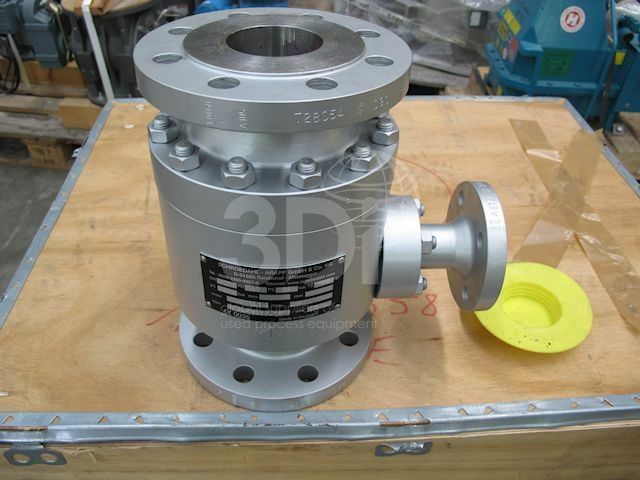 K09-0157.1-1, stainless steel construction, DN 65, PN 40, PS 38bar, TS 125degC, PT 60bar, main flow 114m3/hr, Weight 37kg.